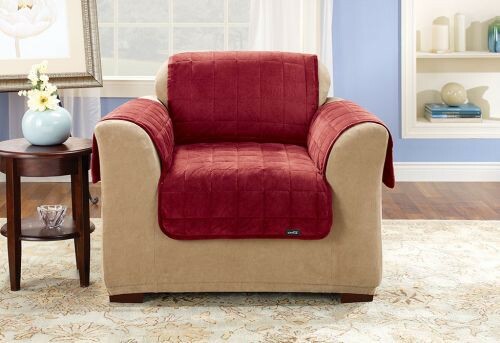 Deluxe Pet Cover, by Sure Fit, is a luxuriously plush, pet-friendly, quilted velvet slipcover that is designed to provide a stylish solution to pet hair, stains, and wear on your furniture. 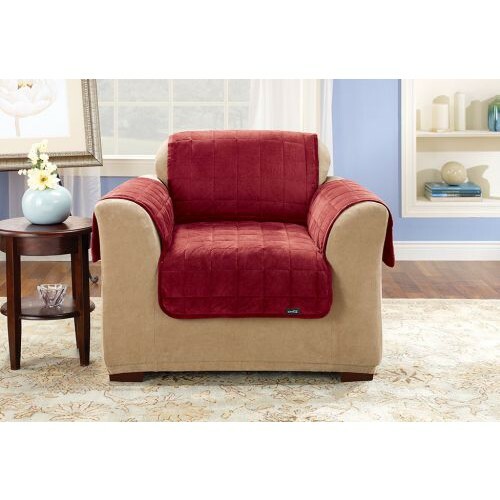 Filled with high-loft polyester batting for ultimate comfort, it features soft stay-put microfiber fabric backing and an extra-long 50 inch backdrop to prevent slippage. Deluxe Pet Cover features a special Sanitized Actifresh protective finish that resists odors for lasting freshness between washing. Protects without detracting from the style and luxury of your room. Available in three versatile sizes and seven distinct colors. Protects Furniture From Pet Hair, Stains and Wear. Filled With High-Loft Polyester Batting for Ultimate Comfort. Soft, Stay-Put Microfiber Fabric Backing and Extra-Long 50 Inch Backdrop to Prevent Slippage. Special Sanitized Actifresh Protective Finish Resists Odors for Lasting Freshness Between Washing.